For nine months out of the year, your test prep business chugs along helping students improve scores and grow as learners. Then June hits. What has worked all year to draw in clients and drive success suddenly may not have the same effect. 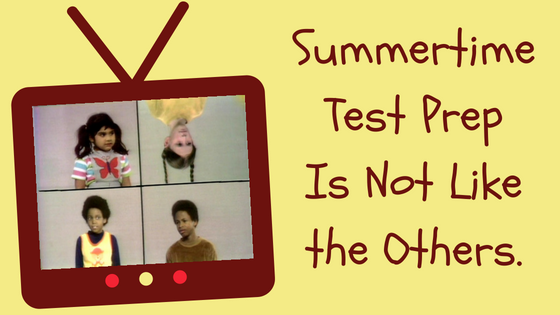 Summertime test prep is not like the others. If this scenario sounds familiar, odds are your test prep business isn’t making the right adjustments to remain competitive in June, July, and August. In reality, summer is an entirely different animal and needs to be treated as such. Here are the five biggest issues your company’s programming must account for in order to have a successful summer test prep season. All successful businesses find ways to listen to and respond to their customers. Summer test prep often faces an uphill climb in this area. Following a long school year, the last thing students are clamoring to do is more academic work. In most cases, these students are teens who are both physically and mentally exhausted from nine months in the classroom (not to mention extracurriculars). More than vocabulary practice and formula sheets, they just need a break. Effective summer test prep experiences must take this into account. Just like trying to get a child to eat his or her vegetables, delivering test prep support to a student on summer vacation is going to take patience, perseverance, and even a little creativity. Students aren’t going to show up for a straightforward grind. The school year can be busy for a college-bound student, but at least it’s (fairly) predictable. School and activity calendars tend to be both rigid and readily available. Planning test prep sessions and practice time just become another piece of the puzzle. The summer comes and turns all that on its head. Vacations, camps, jobs, and other priorities can make it a lot trickier to establish a consistent test prep routine. As a test prep company, you must be prepared with offerings that account for these types of shifting schedules and one-off interruptions. Finding times and schedules that work for both your clients and staff is often much trickier in the summer months. Your test prep company isn’t the only one feeling the summer slowdown. Odds are, the other test prep businesses in your local market are as well. Know what summer test prep options are out there and be sure to find a lane that differentiates your test prep offerings from the others. For starters, making sure your curriculum and software solutions are the best in town can be a strong marketing advantage! If your support materials are due for a refresh, summer is a good time to make the necessary changes. Making matters worse, most summers see an overall dip in the number of students seeking to start test prep. However, rather than accepting this fact as an immutable truth, consider the fact that potential clients in your market may not realize that summer test prep can look different than the normal September-to-June variety. Developing and marketing a flexible, summer-vacation-friendly test prep option may draw students out of the woodwork that your local competition isn’t targeting. For more on crafting this type of summer test prep opportunity, check out our post, How to Make Summer Test Prep More Flexible. Last but not least, any industry tied to education is bound to experience some degree of staffing turnover each summer. Student employees head off to or return home from college, teachers schedule well-deserved respites, and educators of all stripes tend to wait for the summer months to move to new jobs and/or new homes. Before you take any steps to plan for your company’s summer, be sure to figure out whom you have on your team and how available they are planning to be for test prep work. No one said running a tutoring operation in the summer was going to be easy. That said, if you recognize the unique challenges and compensate for them, your business could be in for a successful season. Not sure where to start? We can help! Schedule a free consultation to see how the Clear Choice Prep curriculum and software can serve as the backbone of a successful test prep program all year round!